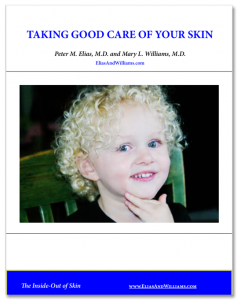 Inside the Skin Barrier Archives - Page 2 of 2 - Elias and Williams: The Inside-Out of Skin by dermatologists and skin researchers Peter M. Elias, M.D. and Mary L. Williams, M.D. This website is devoted to the permeability barrier - the most critical, life-enabling function of skin. 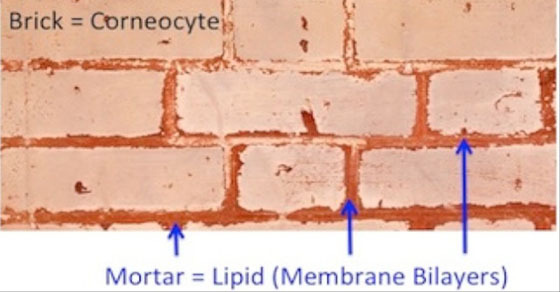 By preventing loss of water from the skin's surface, the barrier preserves the body's internal milieu against dessication in a dry environment. Dermatologists can be accused of having contradictory attitudes towards sun exposure. On the one hand, to prevent skin cancer we routinely advise against sun bathing, but on the other, we often treat common skin disorders like eczema (“atopic dermatitis“) or psoriasis with ultraviolet (UV) light. Now there is even reason to think that too little exposure to sunlight may be why allergic diseases, like atopic dermatitis, have become so much more common in recent years. What is going on with sunlight and the skin? Unquestionably, sunburns damage the skin and promote the development of skin cancer. There is no known “safe” amount of sun exposure that does not produce the biochemical changes in skin which are linked to cancer. For this reason, dermatologists do not consider suntans to be healthy for the skin, either. Suntans, like freckles, are properly considered an injury response of the skin to excessive sun exposures. Hence, our general recommendation is to: cover up, use sunscreens on sun exposed areas and get your necessary vitamin D through diet and dietary supplements. This proposition – that black skin is better skin – is not a political statement. Rather, it is based upon scientific observations. Darkly pigmented skin is functionally superior to lighter colored skin in several ways. Our purpose here is give our readers a scientific perspective to a socially fraught question. And to acquaint our readers with some of the most important functions of skin that are influenced by skin color. Image by Mary L. Williams, M.D. Some of the benefits of skin color are obvious and widely recognized. Darkly pigmented skin is less susceptible to skin cancer. And dark skin is less prone to develop wrinkles over time. Poetically speaking, age has a lighter stroke on the canvas of black skin. What Is The Skin Barrier, And Why Does It Matter? Why Have A Skin Barrier? Our skin barrier is what stands between us and the outside world. But the skin barrier is more than a mere fence or line drawn in the sand to separate “inside” from “outside”, or “here” from “over there”. Our skin barrier protects from many different types of threats to our well-being. We probably think of these primarily as perils coming from the outside, such as bacteria or other microbes. Or toxic chemicals. Or sunburn. Or mechanical injury. While our skin barrier does work to protect against such external assaults, its most important task by far is to protect us from a terrible threat coming from the inside. 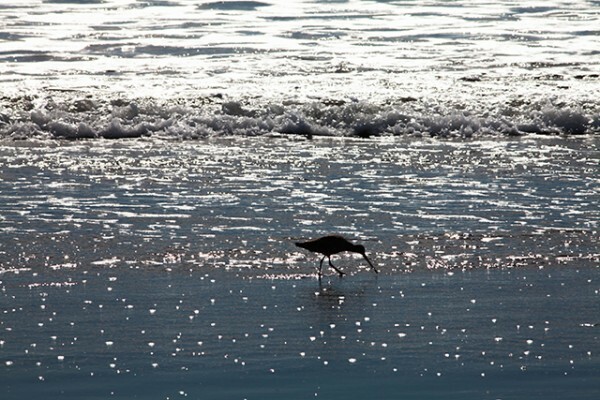 This hazard of all hazards, peril beyond measure, is the escape of our precious body water. Let us go back many eons in time and imagine that first fish as it attempted to venture out onto land. Bear in mind that most creatures and most cells are about 80% water. How could our fish retain its body water, as it left its wet surroundings to live on dry land? How could it keep the water in its cells from evaporating away into the dessicating air? This new world was a hostile one that threatened to turn our fish explorer from a plum into a prune? This newcomer to land needed some type of ‘permeability barrier’; it needed some form of waterproofing. Biologists call the outer protective covering of plants and animals, their ‘integument’; we call ours ‘skin’. In every species, whether plant or animal, the most critical function of the integument (including our skin) is to protect against loss of body water. Our skin barrier’s number one task is to hold our body water inside. [Read more…] about What Is The Skin Barrier, And Why Does It Matter?